I try to avoid featuring the same team here in consecutive weeks, but when you win 14 straight and interrupt the Warriors' demolition of the league, rules go out the window. I'm not sure even Boston's coaches and front-office folks realized how huge this team is on the wing until they saw everyone play together in preseason. 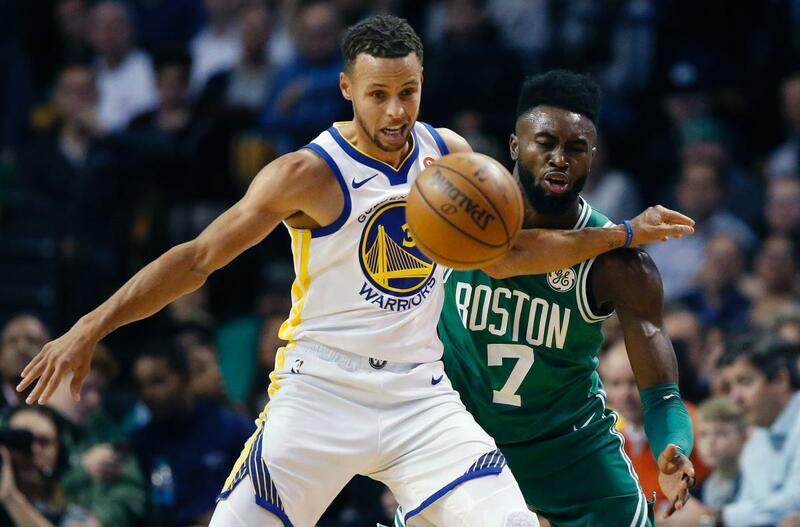 Jaylen Brown is a 6-foot-7 starting 2-guard with a 7-foot wingspan. That is obscene. When the Celtics have any three of Brown, Jayson Tatum, Marcus Morris, and Marcus Smart on the floor (and, hell, throw in Semi Ojeleye) with Al Horford at center, they can switch seamlessly across four positions. It was all on display in their win over Golden State. They switched a ton, and when they didn't -- when they put two on the ball -- the guys behind the play took up so much space when they spread their arms, they could almost guard two people at once. Brown and Horford dissuaded several passes just by making themselves big away from the ball. And when they fall behind chasing shooters around picks, they make up ground so fast, they interfere with the shot anyway. Meanwhile, Markelle Fultz is shooting left-handed, Jimmy Butler isn't shooting much at all, Jae Crowder looks like he aged five years over the summer, and Irving is playing unselfishly (by his standards). Danny Ainge and Brad Stevens might be warlocks. I doubt warlocks, but those two certainly know how to assemble a team. Think defense first, bring in guys of high character that have size, wingspan and versatility, and teach them how to properly, and instinctively, switch on defense to provide lock-down defense. Seems to be working. Warlocks? Could be.